New deputy governor in the Russian Arctic region is Oksana Demchenko, the close aide of newly appointed Governor Andrey Chibis from his time as government official in Moscow. Governor Chibis on Friday morning released former deputy governor Aleksey Tyukavin from his duties and appointed his own long-serving aide Oksana Demchenko as his acting replacement. Aleksey Tyukavin has served as first deputy governor in the region ever since Marina Kovtun took the governor’s seat in 2012. Now, he becomes adviser of new governor Chibis, the regional government informs. The resignation was reportedly made on the request of Tyukavin himself. 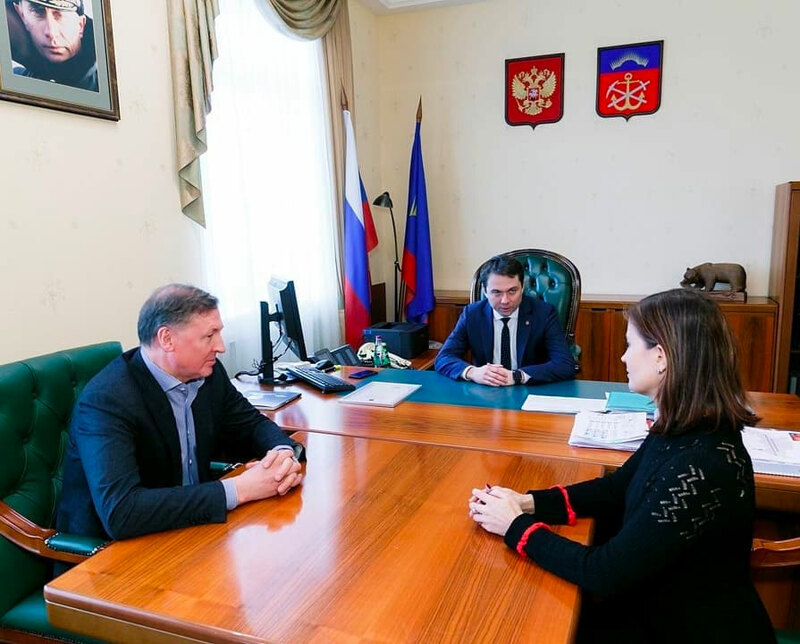 The new deputy governor is 45 years old and originally comes from Norilsk, the north Ural town that is dominated by mining and metallurgy company Norilsk Nickel. It is not known whether she has previous experience from cooperation with the industrial company. Demchenko has worked closely with Andrey Chibis in the federal Ministry of Construction and Housing, where the latter served as deputy minister. Together, Chibis and Demchenko managed the federal program called Smart Town, an initiative on efficient housing. Demchenko is unlikely to be the only state official that Andrey Chibis brings with him from Moscow. Reportedly, the governor had with him a delegation of up to ten people when he in late March arrived in Murmansk. Future could be bleak for the current team of Murmansk government officials. The resignation of Aleksey Tyukavin followed the dismissal of regional health minister Valery Peretrukhin. Andrey Chibis was announced as new Murmansk Governor on 21st March. He replaces Marina Kovtun who has served as regional leader since May 2012.